A 2-in-1 design is a smart choice. 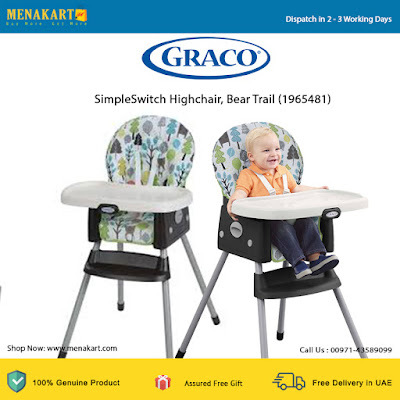 The Graco SimpleSwitch grows with your baby from highchair to booster. The highchair includes 3 reclining positions. The transition to booster mode is easier than ever and the built-in leg storage offers you added convenience when mealtime is over. It's both a great value and a good way to bring your little one to the family table.